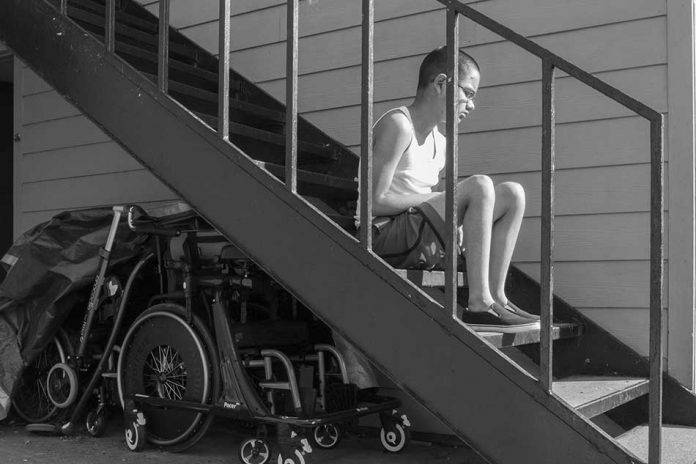 Hector Falcon suffers with a rare neurodegenerative disorder called ataxia-telangiectasia. 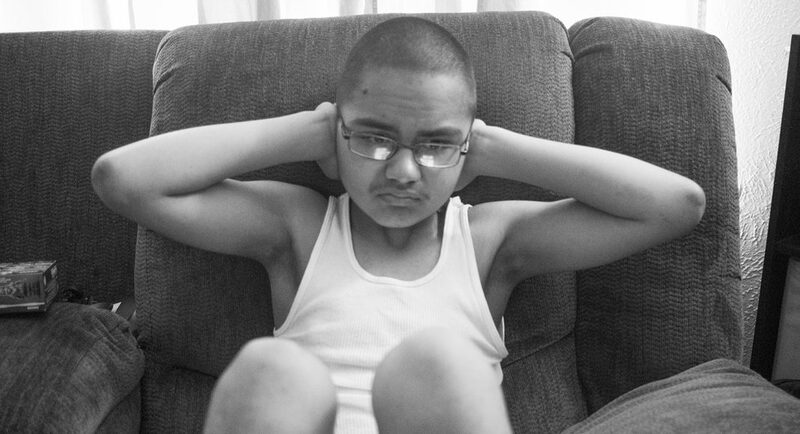 His mother, NE student Sondra Falcon, has been photographing both his and his sister’s struggles with the disease. 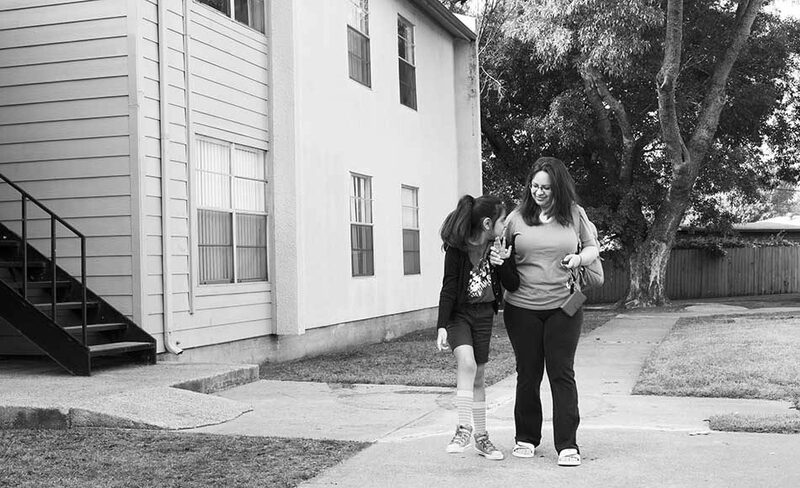 It is no small feat for a working mother to go to school and take classes. Sondra Falcon is one of these students. She is currently a pharmacy technician and a part-time NE student while being a mother and wife at home. But she also lives with the knowledge that her teenage children might not live past their 20s. They suffer from ataxia-telangiectasia, an extremely rare neurodegenerative disorder. In spite of this, Falcon strives to maintain a positive attitude and makes happiness a priority. “There might be stress but never sadness,” she said. Falcon’s two children are Hector, 16, and Saylah, 13. Their diagnosis came in 2013, but the road leading there was lengthy and filled with confusion and misdiagnoses. Hector was born a completely normal baby, Falcon said, and it wasn’t until he started walking that he showed problems with balance. 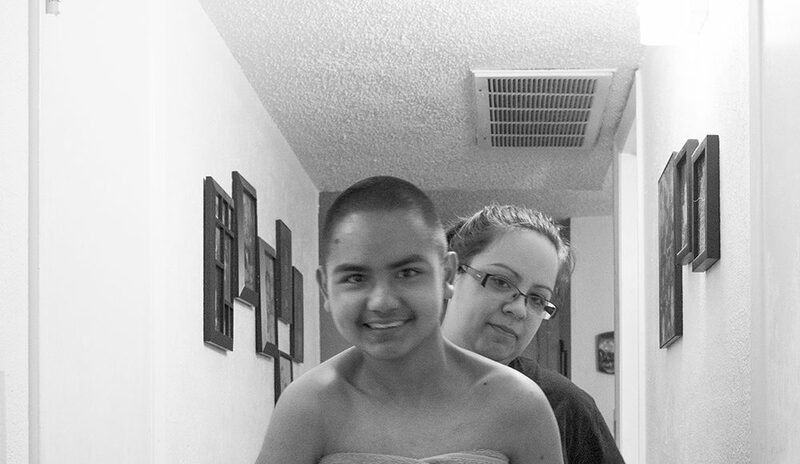 “The doctors just kind of brushed it off and said, ‘Oh, he is just learning. He will grow out of it,’” she said. At his 18-month checkup, a doctor noticed Hector’s hands were clenched. Thinking Hector had a seizure disorder, the doctor sent him to a neurologist. Further testing proved that to not be the case, so they went to a geneticist. 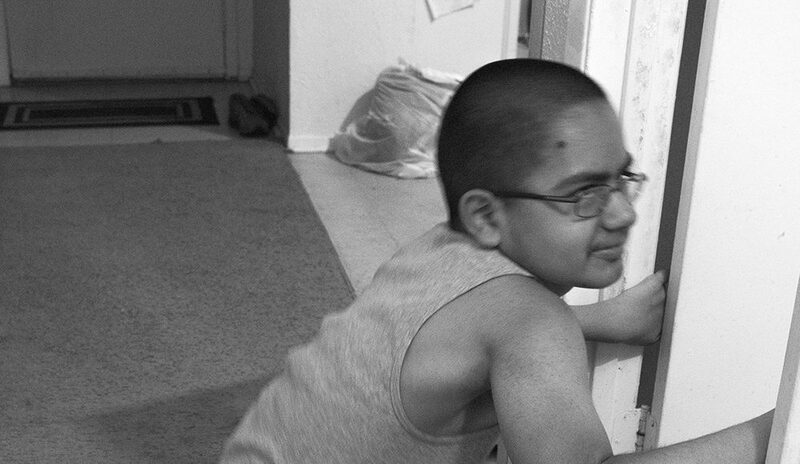 “They couldn’t find anything, so they basically told us that he had cerebral palsy, and that’s what he was diagnosed with,” she said. 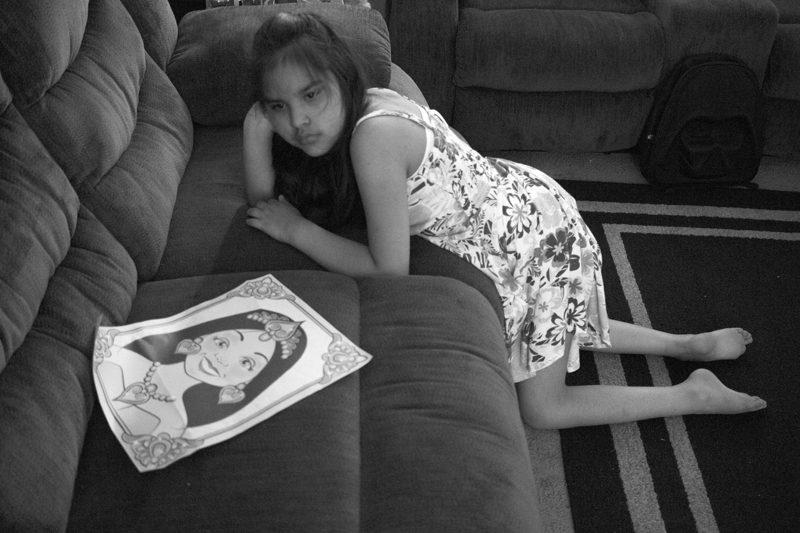 After Saylah was born, she too began showing signs that something was wrong. After several tests, doctors still could not find the problem. 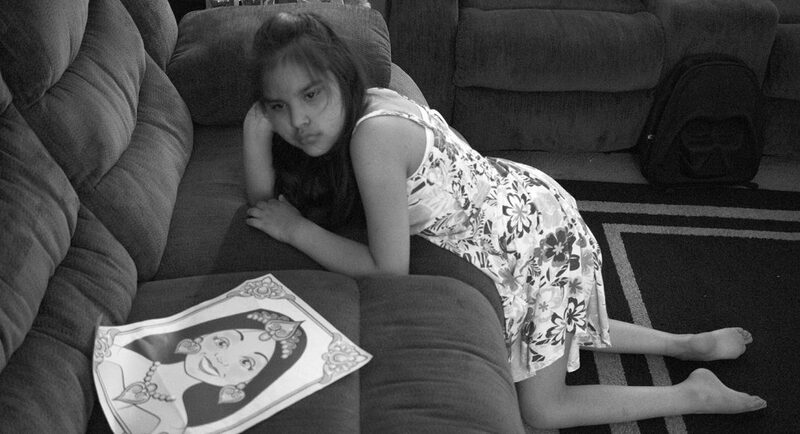 It wasn’t until nine years later that Hector and Saylah were seen by a neurologist that specialized in unsolvable cases. 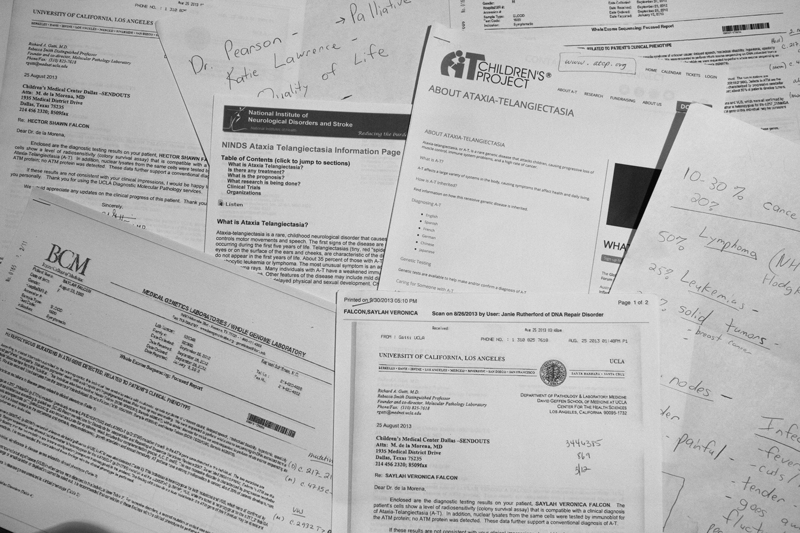 He eventually ordered a genome sequencing that looked at every piece of their DNA. That’s how the children were officially diagnosed with ataxia-telangiectasia. After many years of researching Hector and Saylah’s symptoms, Falcon was not surprised by the diagnosis, but it was still overwhelming. A-T is an immunodeficient disease, meaning a person’s immune system is not fully functioning in contrast to an autoimmune disease where the immune system is overactive. The gene for A-T is recessive, so both parents have to be a carrier. Today, Falcon must make sure Saylah takes her medicine every evening and morning, and both children receive antibody infusions every other week in their stomachs. Falcon’s sister, Eva Leon, said Falcon has a lot of balls in the air as far as everything she has to get done in the day. Falcon, a photography student who also contributes to The Collegian, takes family portraits, but she is also working on a documentary photo project about children with A-T focused more on her children. She wants to travel the country to meet other children with A-T and eventually create a book to bring awareness to the disease. “Once it is finished, I hopefully will sell it and all of the proceeds will go toward the A-T Children’s Project to help with research,” she said. Falcon uses the money she makes from doing photo shoots to fund the travel to meet other families. This past January, she met with two other families in Atlanta. Rosita Oliveira and Falcon have worked together at Walgreens for around 15 years, and she said Falcon is like Superwoman. NE student and friend Jen Vasilio said Falcon remains a positive, happy person. Falcon sees her children as inspiring. 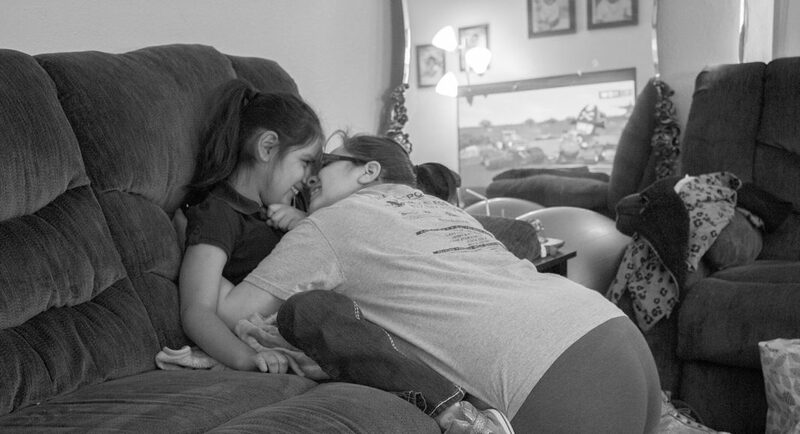 Her children’s disease taught her how important it is to live life and be happy, she says. However, staying positive is not without effort. She said she has a great support system in her friends and family but more specifically her husband of 18 years, Hector Sr.
Falcon’s message to other parents going through a child’s diagnosis is to be patient. 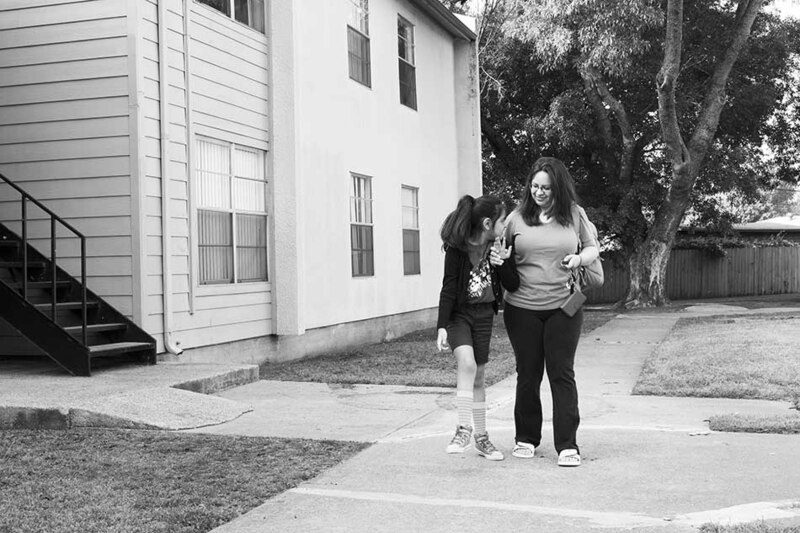 Sondra Falcon helps her daughter to the car on their way to school. Saylah needs assistance with walking. Saylah must get botox injections in her legs to help with muscle tightness. 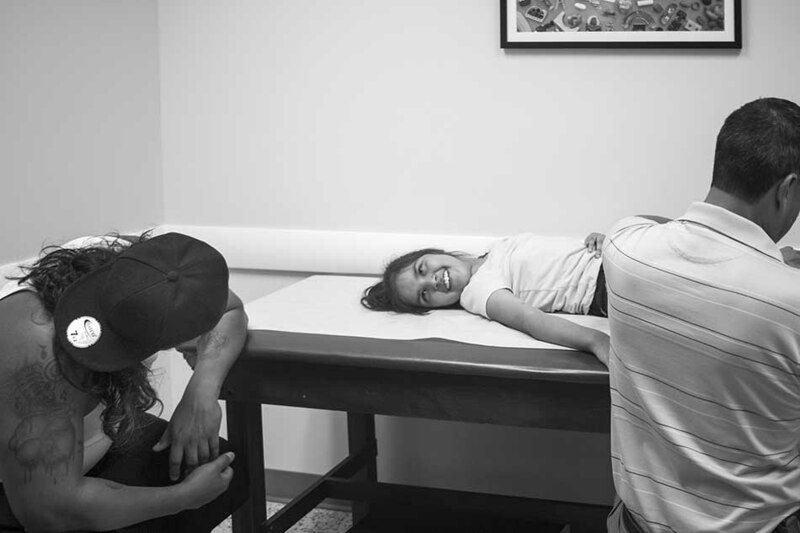 After she was born, Saylah began to show signs that something was off, including not sitting up straight. 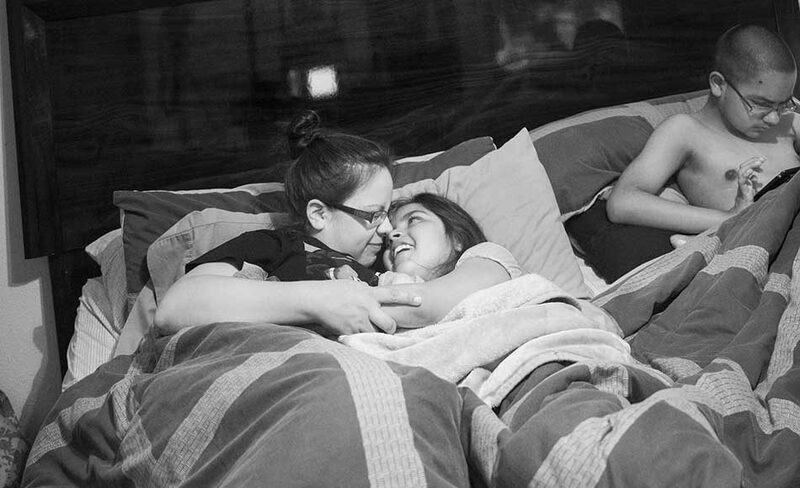 It is a nightly routine for the Falcon family to watch movies and snuggle in bed. Hector spends an ample amount of time playing games and watching videos on his iPad. 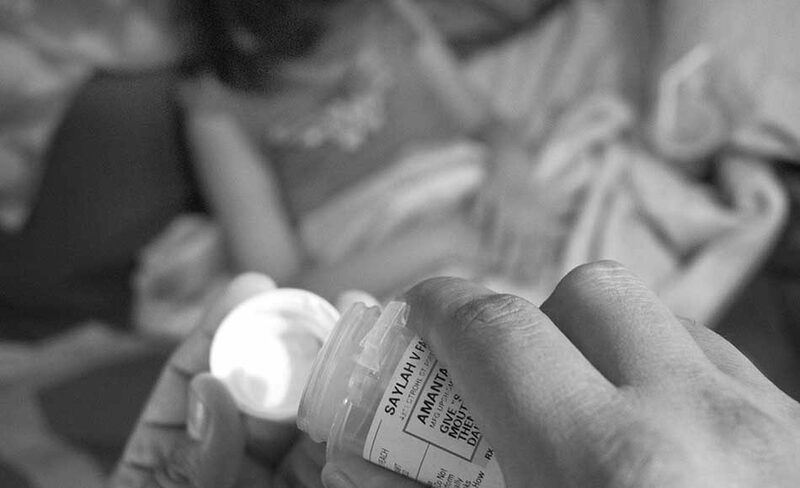 Saylah receives her nightly dose of medication that she gets twice a day. Both she and Hector get antibody infusions every other week. 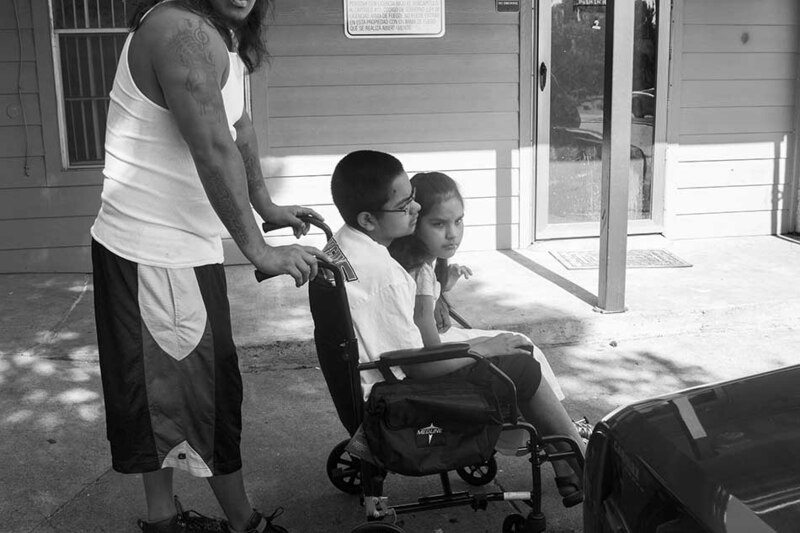 Hector and Saylah have a wheelchair they can both sit in to get from their apartment to the car before they head to the mall. 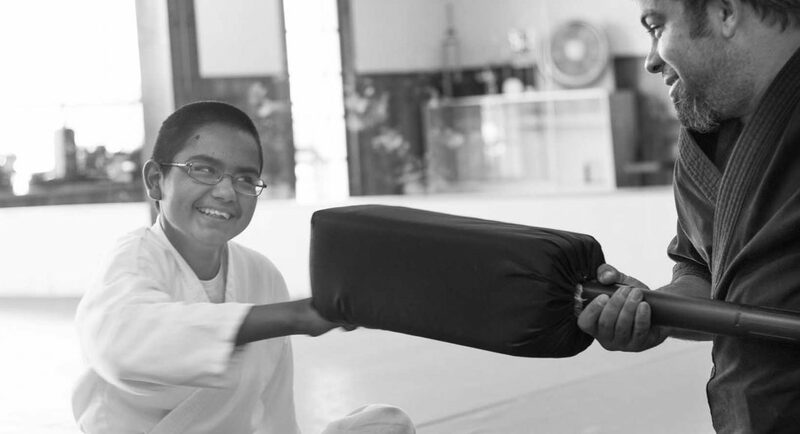 Even with his disabilities, Hector participates in karate. 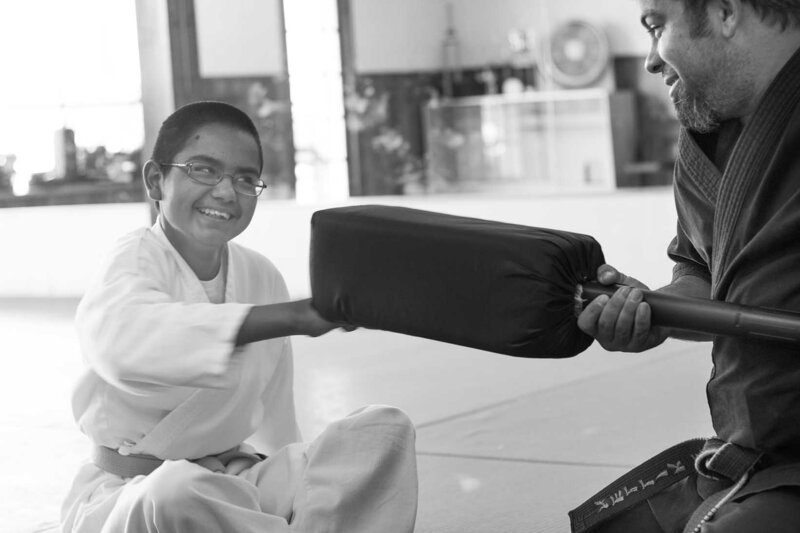 His instructor has adapted to his condition and teaches him self-defense moves. 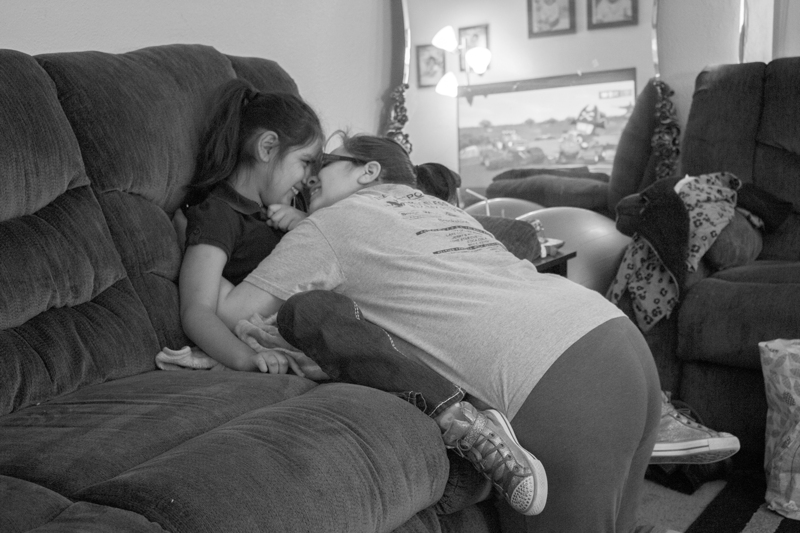 Sondra and Saylah Falcon share a moment at home before getting ready for school. 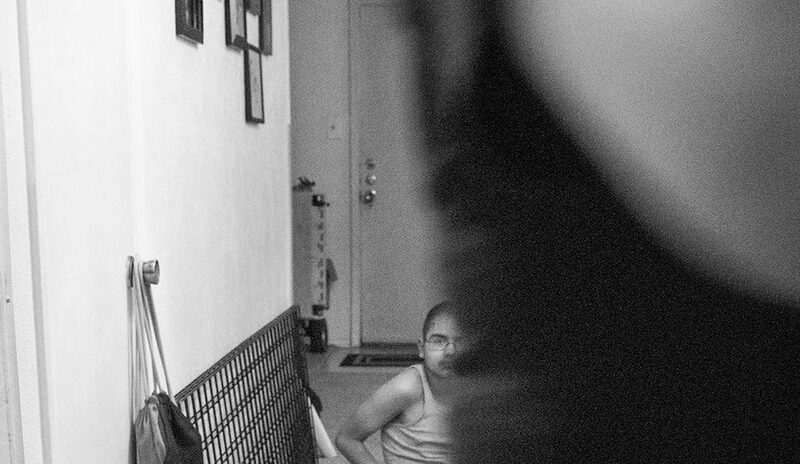 Saylah and Hector Falcon Jr. watch television with their father, Hector Sr. It’s their nightly routine before going to bed. 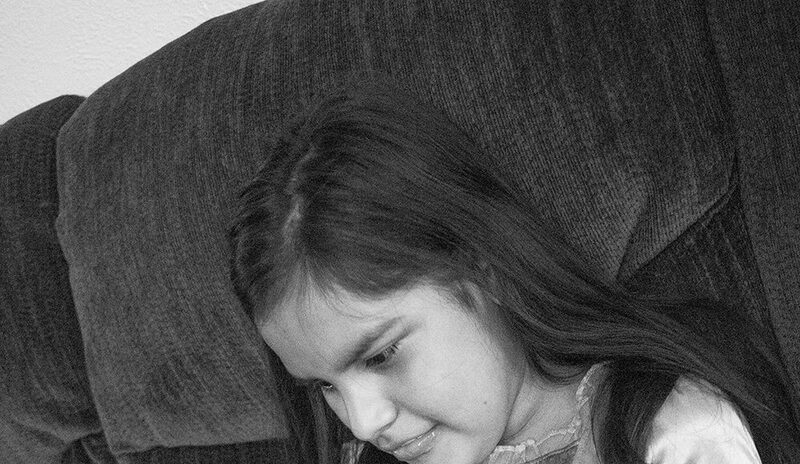 Saylah prepares to get a biweekly infusion that provides her with antibodies to help her depleted immune system. Hector Falcon Jr. scoots to get around their home. Hector Falcon Jr. uses Legos to help train with dexterity. Putting Legos together helps him develop fine motor skills. 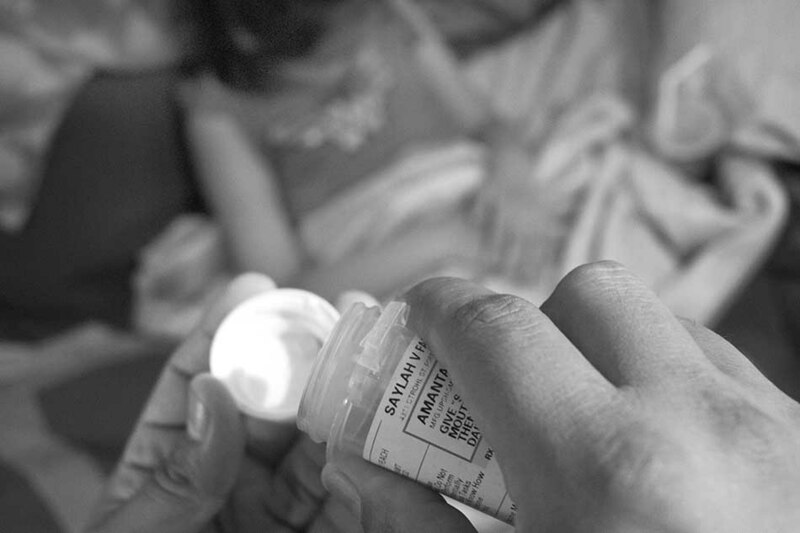 Saylah takes part in occupational therapy. After months of practice writing her name, Saylah is unable to and uses a stamp with her name as a signature. 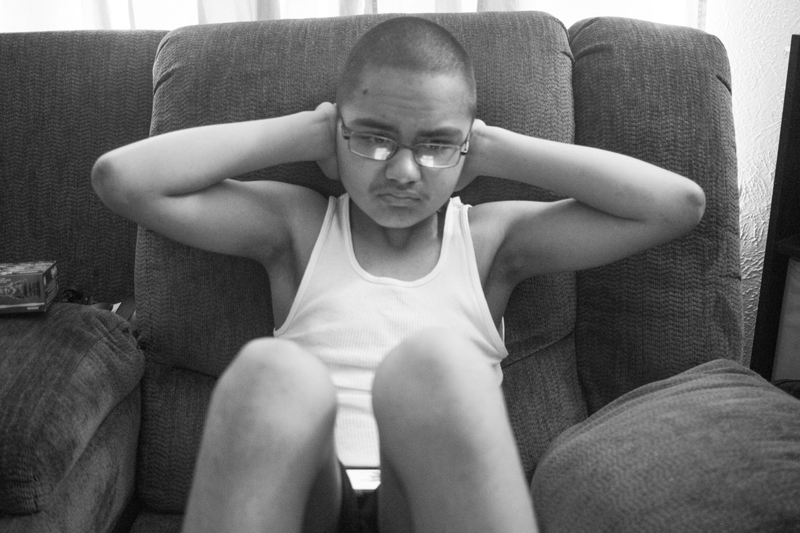 Hector Jr. covers his ears while someone vacuums at home. Ataxia-telangiectasia leaves both of them sensitive to loud noises. 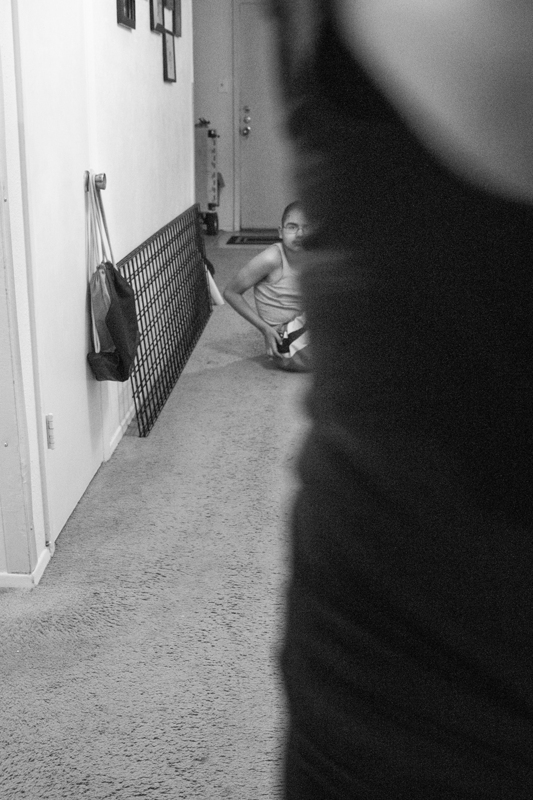 Saylah attempts to get on the couch at home, but ataxia-telangiectasia poses challenges to her mobility. 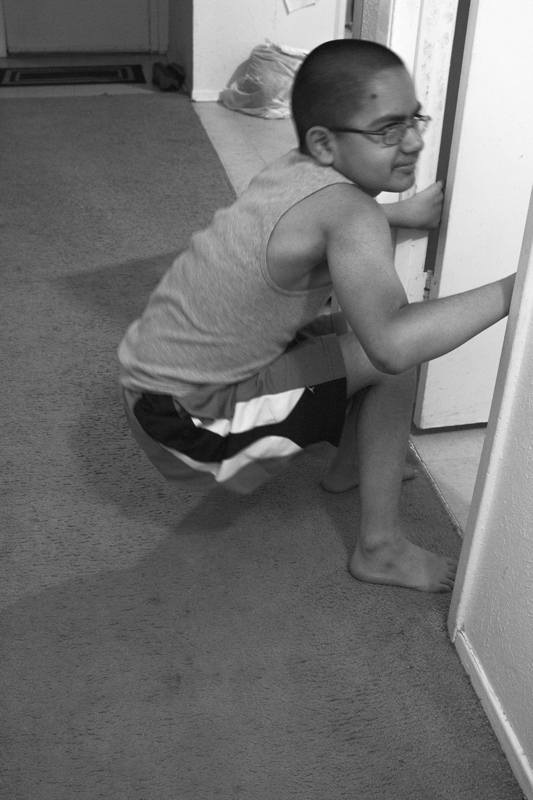 Hector uses the doorframe to pull himself up to go into the bathroom. 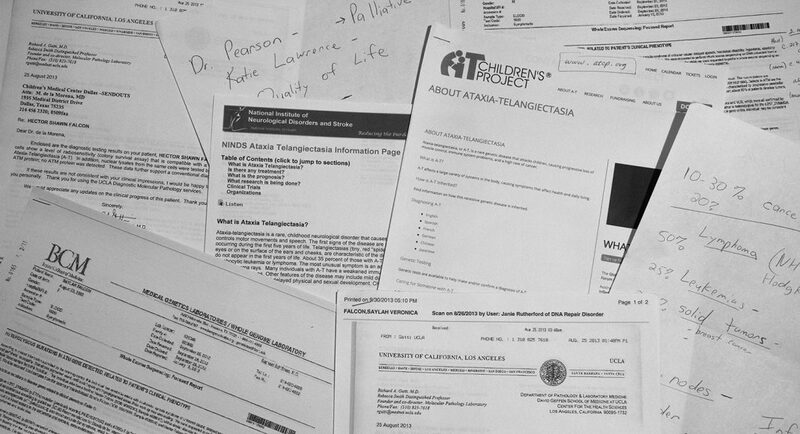 Sondra keeps a lot of paperwork, including doctor’s notes, test results and research to keep with her children. 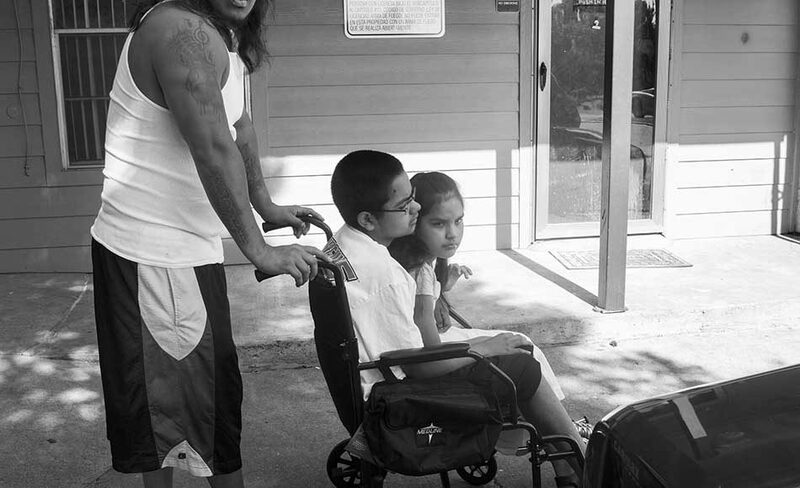 Hector Sr. helps Hector Jr. from the wheelchair to the car. At the mall, Hector Sr. kisses Saylah’s hand and calls her his princess.